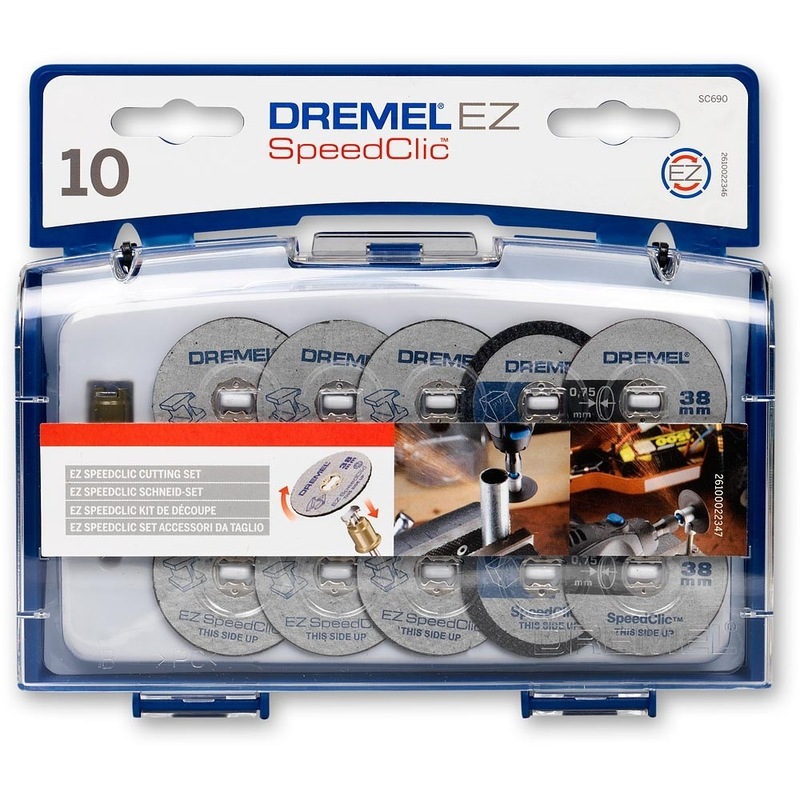 Assortment of 10 EZ SpeedClic cutting wheels and the special EZ SpeedClic mandrel. Besides 6 regular 38 mm metal cutting wheels the kit includes 2 special thin cutting wheels and 2 unique plastic cutting wheels. 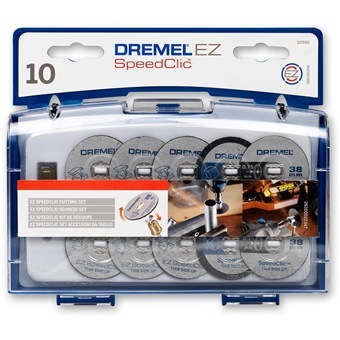 EZ SpeedClic is the unique quick-change system for rotary tool accessories.